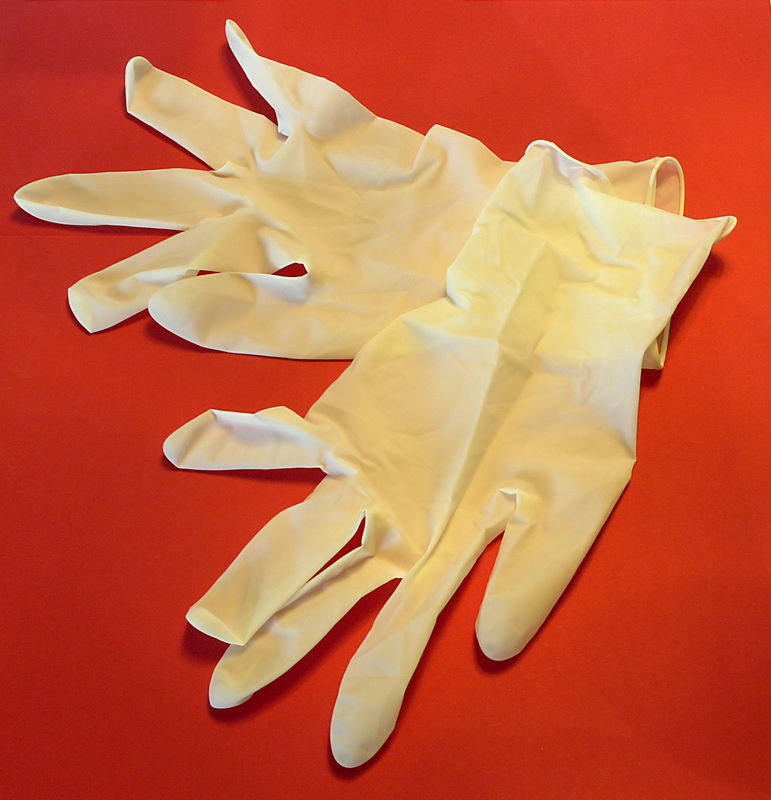 Gloves are an important part of many of your customer’s safety and sanitation procedures. From healthcare to food service, to auto mechanics and nail technicians, wearing gloves not only protects the employee, but the customers or patients as well. What happens, though, when gloves are not being used properly? Are your customers using the right gloves, and practicing proper hand hygiene? A recent study shows that this may not be the case. According to a study published June 20th, 2013 by Antimicrobial Resistance and Infection Control, gloves were being used improperly 42% of the time in the healthcare settings observed. An increased risk of cross-contamination was also present in 39% of the time that gloves were used, due to a lack of appropriate hand hygiene in conjunction with glove use. Proper hand hygiene for healthcare settings requires hand washing before and after glove use, and a change of gloves each time a new surface is touched in order to maximize protection, yet after wearing gloves, 33% failed to practice proper hand washing techniques. The authors of the study concluded that “an understanding of drivers of glove use behavior is required to design interventions to reduce their misuse and overuse.” Are your customers well-informed on proper glove use and hand hygiene? This summary from the World Health Organization provides a good overview of safe glove usage in healthcare situations. A. In no way does glove use modify hand hygiene indications or replace hand hygiene action by rubbing with an alcohol-based product or by handwashing with soap and water. *Use of a good antibacterial soap along with alcohol-based sanitizers is the ideal combination. Customers can try products such as Dial Antibacterial Soap, along with sanitizing products such as those from Purell or Kutol to kill any existing bacteria on the hands. B. Wear gloves when it can be reasonably anticipated that contact with blood or other body fluids, mucous membranes, non-intact skin or potentially infectious material will occur. *Make sure to make the proper glove choice for the appropriate situation. This Glove Guide from Sterex outlines each type and their usage. Typically, powder-free non-latex gloves are recommended for healthcare settings, with Nitrile Gloves being the strongest. C. Remove gloves after caring for a patient. Do not wear the same pair of gloves for the care of more than one patient. *Customers may think that they are saving money with this practice, but is the safety of their patients worth the pennies saved? A new pair of gloves should be worn every time, sometimes even changed multiple times with the same patient as the situation demands. Savings can be had by utilizing a value-priced brand of gloves as opposed to putting a patient’s health at risk. D. When wearing gloves, change or remove gloves in the following situations: during patient care if moving from a contaminated body site to another body site (including a mucous membrane, non-intact skin or a medical device within the same patient or the environment). *Not following this practice can spread infection or bacteria from one area of a patient to another, or transfer it to other surfaces– contact with any opening in a patient’s body immediately contaminates gloves. Would you want a doctor performing a rectal exam, and then checking your tonsils without changing their gloves? E. The reuse of gloves after reprocessing or decontamination is not recommended. *Send your apologies to the penny-pinchers- you can’t wash gloves, as it diminishes their integrity and their safety. For other ways to save a buck, see tip C above! The World Health Organization has also created a diagram on proper hand washing and hand rubbing in healthcare settings, which is also important regardless if gloves are used. If gloves are needed, this Glove Use Information Leaflet has a diagram that shows the proper steps on how to put gloves on and take them off while maintaining proper hand hygiene techniques. You don’t have to be a glove expert to sell gloves, but understanding the needs of your healthcare customers will go a long way in increasing the proper glove usage techniques that improve patient safety and reduce cross-contamination. Next story Raise a Glass for International Beer Day! Previous story Help Your Customers Go Green, with Green Literature!